John Wesley Powell was a pioneer American explorer, ethnologist, and geologist in the 19th Century. 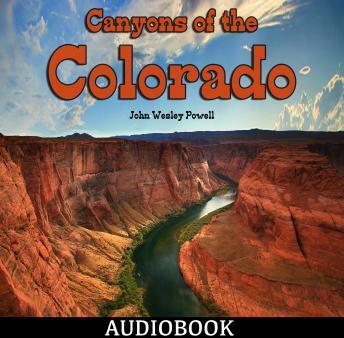 He set out to explore the Colorado and the Grand Canyon. He gathered nine men, four boats and food for ten months and set out from Green River, Wyoming. Passing through dangerous rapids, the group passed down the Green River to its confluence with the Colorado River (then also known as the Grand River upriver from the junction), near present-day Moab, Utah. The expedition's route traveled through the Utah canyons of the Colorado River, which Powell described in his published diary as having …wonderful features—carved walls, royal arches, glens, alcove gulches, mounds and monuments. From which of these features shall we select a name? We decide to call it Glen Canyon. One man (Goodman) quit after the first month and another three (Dunn and the Howland brothers) left at Separation Rapid in the third, only two days before the group reached the mouth of the Virgin River after traversing almost 1,500 km. Powell retraced the route with another expedition, producing photographs, an accurate map, and various papers, including ethnographic reports of the area's Native Americans and a monograph on their languages.